Prof. Dr. Astrid Ley is interim chair for international urbanism at the University of Stuttgart since October 2014. Astrid Ley is the leading researcher with a special focus on housing for the urban poor in South Africa. Her expertise and publication record include topics related to the urbanization in the Global South, informal housing processes, the role of local governance and civil society, the effects of mega-events on urban development and transnational networks of urban poor. 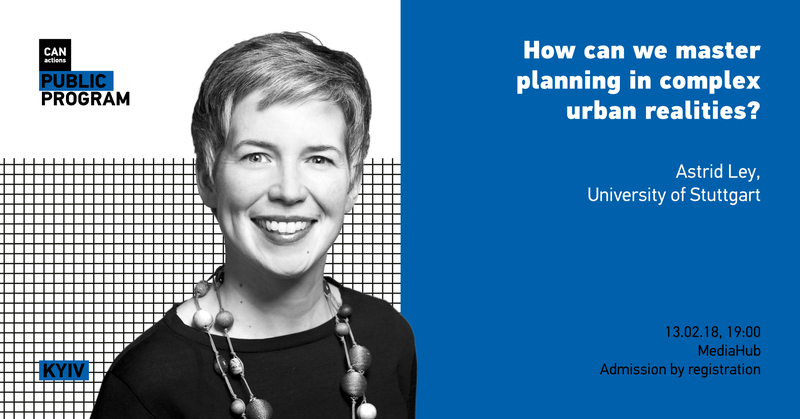 With many years of teaching experience, she is experienced in conceptualizing and running seminars for architecture, urban design and planning for students in their master studies and for postgraduate students in Urban Management. generalized in the face of current urbanisation processes as it ignores the largely varying regional differences, the dynamics of urbanisation and the various spatial forms it can take. More profound: The jargon of half-of humanity in cities is linked to opportunities for intervention for politics and planning which understand the city solely as a site where greater transformation processes are represented: climate change, economic globalisation, migration. The idea seems to be very appealing – when half of humanity lives there, then we could probably meet best our environment and development goals there. I would like to contrast this reduced understanding, with a more active concept of cities. My own interest in cities as an urban form of social organisation centres around the questions, which role actors IN the city play for transformation and social innovation? What are common approaches in practice in this context? To understand the complexity and contextualize projects, to cluster components to strategic interventions, to coordinate actors, cooperate with residents, to incorporate different levels – are parallel strategies to address the complexity of urban realities in the international context. This I will illustrate taking South Africa as a case in point. Finally, I will present what can be concluded for research and practice and how I foresee teaching and research to tackle the enormous task of re-thinking complex urban realities. Lecture "why do cities need markets? " Lecture "Is the landscape based on a geographical truth?" Lecture "Between strategy and reality – why we need dreamers"